New York City bike shops were in the news last week when Bloomberg wrote that the city's one-year-old bike sharing program (CitiBike) was hurting sales at local bike shops. The article called bike shops "the collateral damage" of a program that has attracted more than 100,000 people to rent bikes for short-distance use, picking them up and returning them to 324 bike stations for a fee (daily, weekly or annually). Charlie McCorkell, owner of Bicycle Habitat, was an early proponent of the bike sharing program. He was quoted as saying he supports it "philosophically." But he has lost sales in the hundreds of units at his SoHo store, located near a bike station, while his second location farther from bike share has seen continued growth, the article said. Other area bike shops reported declining sales as well after bike sharing was implemented, including Hub Cycles, Echelon Cycles and Landmark Bicycles. Bloomberg concluded, "the very institutions that should be riding the success of a newly bike-friendly city are getting doored by it instead. For the neighborhood bike shop, declining sales are an unintended consequence of a program that most people seem to love." So is bike sharing really harming bike shops? The evidence here is certainly limited, but the emergence of bike sharing programs across the United States is leading some bike shop owners to consider a previously unthinkable notion: despite the fact that bike sharing gets more people on bikes, it might be bad for business. The positive side of bike sharing is compelling from a cycling advocacy perspective. Bike sharing puts more people on bikes. A lot of these people wouldn't be riding otherwise. Bike sharing gives bikes visibility as a mainstream activity, real transportation. Bike sharing is mostly achieved with private money (excluding use of the public right-of-way for stations). It contributes to better health, less crowding and cleaner air. People are relieved of the "worries of ownership" because a ride share bike is more than a bike. Each comes with parking and security included. The NBDA dealer online forum was alive with questions about bike sharing last week following the Bloomberg article. Most acknowledged the benefits of bike sharing in the big picture of bicycle advocacy, but couldn't help but wonder if it was nonetheless a threat to them, especially if they are located near a bike share station. A doubter from Texas wrote that the negative impact to dealers in New York "sounds like the worst case scenario. Ride a Citi Bike for $100 a year, buy helmet and other accessories online. Don't need local bike shops anymore." From Northern California, "I am surprised the effect would be that widespread. It's an indication that NYC already had a thriving community of commuting cyclists. One has to ask, could the local shop infrastructure have accomplished similar results (more participation) for less money? We are part of the infrastructure. Believe it." From Illinois, "Most of us have bought things we were initially excited about but then quickly lost interest in, resulting in those things we bought going unused. 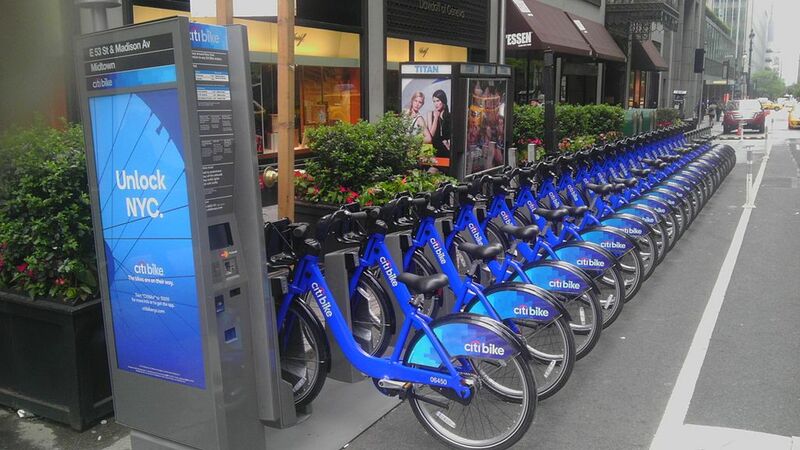 So now, people can get that initial excitement fulfilled with a Citi Bike rental and then they lose interest before getting to the step where they actually go out and BUY a bike. "Also, those Citi Bikes are heavy and slow. Should there be a concern that newcomers are getting a bad first impression of adult bike riding in the same way that some in the industry say they're concerned about peoples' experiences with big-box-store-quality bikes?" From Mississippi, "I agree we've all seen our share of nice bicycles purchased from our shops with everything done right on our part only to have those bike ridden twice then hung by the wheels for the next 20 years. That's just one byproduct of a free marketplace. Customers are free to follow through with their intent to become cyclists or to walk away from that dream with good reason or no reason at all. "At least when consumers had to either buy a bicycle from a local dealer or a department store, we had a chance to either sell a new bike or provide the repair and upkeep of that mart bike. Not so with these public installations." A comment from California: "I think the big issue here is that we, the LBS, are not regarded as part of the infrastructure. I believe we can make a strong case that we've been an integral part of making cycling accessible, and that our declining numbers are a cause, not an effect, of decreased utilization of the bicycle outside of dense urban environments where bike share programs have been put into effect. "We could start with sales tax. Removing the sales taxes from bicycles would provide an immediate benefit to an IBD's bottom line due to unfair competition on-line, and a healthy IBD supports local cycling." Finally, Brent Lane at Plank Road Cyclery in Illinois summed it up with a colorful and unique spin: "I'm a capitalist-jerk drug dealer. The drug I deal is bicycles/bicycle-riding. Every spring/summer a new crop of people decide they want to experiment with my drug. When they come to me I try to deal them the strongest version of that drug that I can to provide them with the most intense high possible. "Even with a good high, some will only experiment a bit and then stop (hopefully they'll at least tell their friends it was a good time). Some will start to become junkies and keep coming back for more. A few will respond immediately and strongly but want more exotic drugs that they look elsewhere for. Whatever the outcome, I get to make some profit in the short term and maybe get a new long-term customer. "So, even though the overall awareness and number of people trying/using the drug (that I happen to deal) may increase and I may still get few new junkies as a result of the city's program, I may still end up with less profit (a bad thing for me) in the long run. It'd be better for my business if the city just spent money on building free-to-use drug dens." Note that this might be the first published comparison between publicly-funded bicycle infrastructure and free-to-use drug dens. Regardless of that, one fact remains: whether you own a bike, rent it, or sell bikes for a living, there is common ground. All of us need and deserve safe and convenient places to ride.